The practice of “Happy Law” may sound like an oxymoron, but not for one unique Sarasota attorney. Kevin Pillion is the founder of the Life Planning Law Firm in Sarasota, Florida. A tall and slender man with red hair and smiling Irish eyes, Kevin’s casual demeanor is engaging. He’s always ready with a funny quip and a good cup of hot Irish tea. That down-to-earth attitude is especially refreshing when people realize that it comes with decades of personal and legal experience working with seniors and their families. His caring approach and understanding of family needs is a direct result of personal experience. Dealing with the care of his elderly parents and the stress that resulted has given him a deep empathy for others in that situation. Although he had a successful career in Washington, D.C., Kevin was suddenly thrust into personally caring for his mother and father, who could no longer manage by themselves. Eventually, Kevin left his work to focus completely on his parents who both suffered from dementia. “Both Mom and Dad really wanted to remain in their home on Cape Cod. I wanted to honor their wishes, so I headed north from Washington, D.C., where I had been working as an Estate Planning Attorney and CPA,” Kevin says. During the next 4 years, he personally cared for his parents full-time, spending part of the year in Cape Cod, Massachusetts and the remaining part of the year in Bradenton, Florida where his parents had a winter home. He shared their final years with them until they passed away in 2007, just six months apart. With the loss of his parents and his caregiving role, Kevin felt a huge void in his life. Thankfully, the fond memories of his parents, especially the trips they took together to visit family and friends in his mother’s birthplace of Dublin, Ireland, helped carry Kevin through this difficult period of loss and adjustment. He took time to reflect … and decided he would dedicate his life to using his personal experiences with his parents to help seniors and their families. Over the past 8 years, Kevin has created an Elder Law firm that addresses his clients’ needs from a ‘holistic’ viewpoint … by addressing legal, medical, financial, social and family issues that seniors encounter every day. Kevin’s primary goal is to promote the highest quality of life for his clients, just as he did with his own parents. 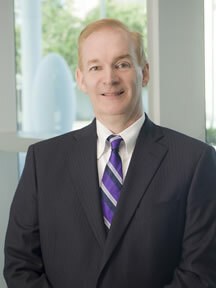 Kevin received his Juris Doctorate from Georgetown University Law Center and has been practicing law since 1990. Kevin is also a Certified Public Accountant with five years’ experience working with the U.S. Securities & Exchange Commission (SEC) in Washington, D.C. In addition, he worked on many cases with Steven Winkelman, the prominent Estate Planning Attorney and former Adjunct Professor of Estate Planning at Georgetown University Law Center. He is a member of The Florida Bar, Florida Institute of Certified Public Accountants, American Academy of Estate Planning Attorneys, National Academy of Elder Law Attorneys, Florida Academy of Elder Law Attorneys, Life Care Planning Law Firms Association, Veterans Benefits Committee of the Elder Law Section of The Florida Bar, and he is Accredited by the Department of Veterans Affairs. Kevin is licensed to practice law in both Florida and Washington, DC. In his spare time, Kevin is an avid reader and quotes one of his favorite writers, Joseph Addison, and English scholar from the 1700’s: “Three grand essentials to happiness in this life are: Something to do, Something to love, and Something to hope for.” These are words that Kevin lives by.